For those interested in reading and studying sources that will enrich your understanding of our Hebraic heritage, from the enormous treasure trove of available Jewish-oriented literature, we offer a recommended Reading List in Two Sections: Beginnings and Advanced. If you are starting out on this adventure of discovery, we suggest you begin with choices from the Beginnings section. More scholarly reads, or those suitable for readers who already have a knowledge of Judaic literature, are placed in the Advanced section. There is no recommended order of reading, but prayer is always a good place to start. 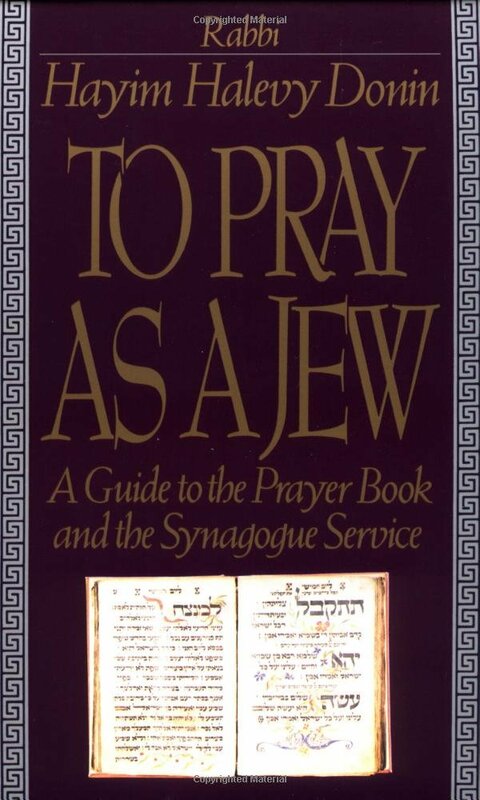 The bulk of Jewish prayer is based on the Hebrew Scriptures, so one is literally praying the Word. 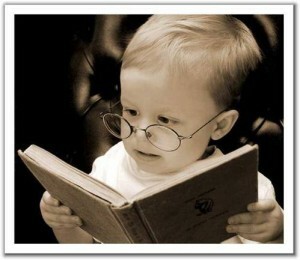 It also is an excellent means of learning and practicing Hebrew. 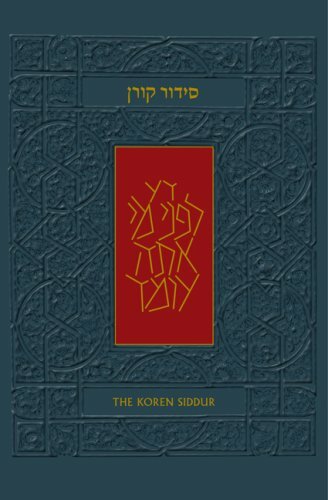 A beautifully presented book of prayer, ‘The Koren Siddur’, containing both Hebrew and English prayers with excellent explanations and commentary by Sir Jonathan Sacks, is a worthwhile investment. 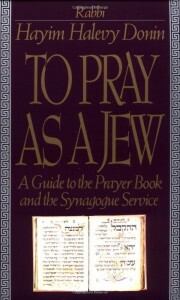 A guide for the beginner to the prayer book and the synagogue service. 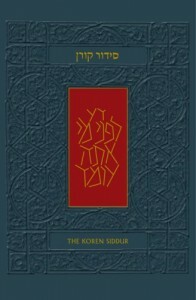 The Koren Siddur, by Rabbi Jonathan Sacks. Highly recommended. The Artscroll Siddur, by Rabbi Nosson Sherman.Includes translation, comprehensive commentary and clear instruction for the beginner. With special sections at the end of the Siddur that discuss laws. The Metsudah Siddur, by Rabbi Avrohom Davis. A linear Siddur with English translation and anthology of the classic commentaries. This might also be useful if you know a little Hebrew and are trying to advance your knowledge in the language. With a linear translation, it is sometimes easier to figure out which English word goes with which Hebrew word. Artscroll Tanakh Series, by Rabbi Meir Zlotowitz. 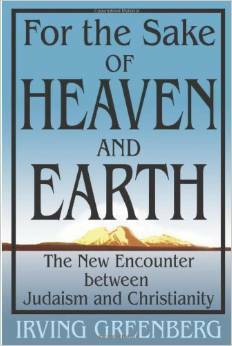 An excellent gateway to the Bible, Prophets and Writings for the lay person. It is a multi-volume translation, with commentary. Pentateuch and Haftorahs, by Rabbi, Dr JH Hertz, The Soncino Press. A comprehensive , sound commentary to begin with. The Stone Edition of The Chumash, a good basic commentary on the Pentateuch. 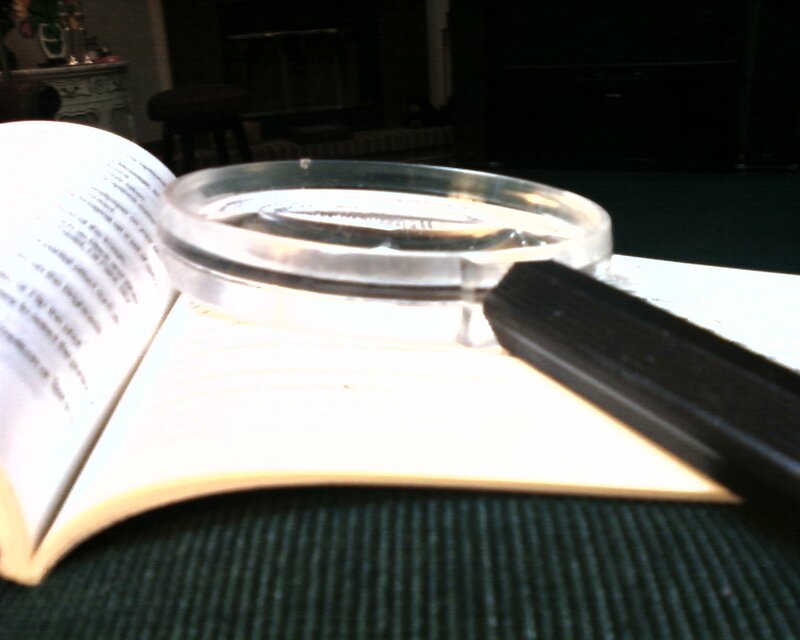 The Pentateuch, by Rabbi S.R. Hirsch, a more expanded and contemplative commentary on the Torah. 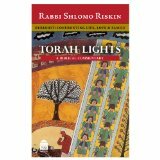 Torah Lights, by Rabbi Shlomo Riskin. 5 volumes on the five books of Moses in set. Available individually. An in-depth study of each parasha. Highly recommended. Torah for Your Table, Rabbis Yisroel and Osher Jungreis, compiled by Rebbetzin Esther Jungreis. Short essays based on the Torah portion, ideal for family sharing each week. 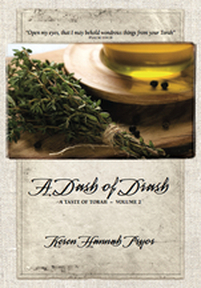 A Taste of Torah and A Dash of Drash, by Keren Hannah Pryor, via HIS-ISRAEL. Insightful and devotional studies on each weekly Torah portion. Recommended for personal, hevruta/pairs or group study. 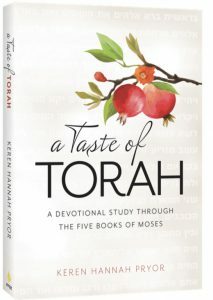 YOU CAN ORDER the newly published A Taste of Torah at FFOZ.org. LOOK OUT FOR the newly published A Dash of Drash in 2017. This is my God, by Herman Wouk. 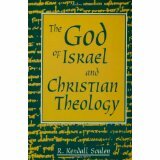 A well-written, basic review of Jewish religion and life by a renowned contemporary writer. It explains Orthodox Judaism, what differentiates it from other forms of Judaism, talks about major Jewish holidays, gives a brief history of Israel, an explanation of what the Torah is, the Written Law and the Oral Law, and some interesting information about the Talmud. All in all, a good summary. Celebrating Life, by Jonathan Sacks. Excellent collection of short articles on faith, family, community, friendship and responsibilities. An inspiring and delightful read. The Book of Our Heritage, by Rabbi Eliyahu Kitov. This three-volume deals with the Jewish Calendar and the Holidays. It has a wealth of information, and is also an easy read. The Jewish Way in Love and Marriage, by Rabbi Maurice Lamm. For the married, or for those seeking marriage, this book is a popular authoritative presentation of Jewish teaching on love and marriage in light of the traditions and laws of the Bible. The Committed Life and The Committed Marriage, both by Rebbetzin Esther Jungreis present valuable insights, based on Biblical wisdom, in relation to life in general and to married life. Desert and Shepherd in our Biblical Heritage, by Nogah Hareuveni. 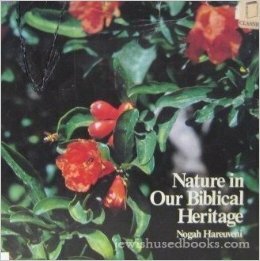 Each of these beautifully illustrated books present the land, flora and fauna of Israel in a unique way that adds a new dimension of understanding to the Bible. Highly recommended. “Eisenbaum’s lively prose and meticulous scholarship provide a compelling new portrait of the apostle. From the Wisdom of Mishle (Proverbs). 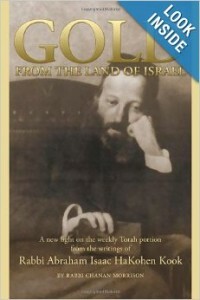 Gold from the Land of Israel , by Rabbi Chanan Morrison. 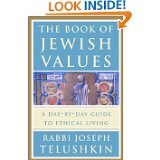 Thoughtful, in-depth insights based on the writings of Rabbi Avraham Yitzchak HaKohen Kook. Sequel volumes: Silver and Sapphire from the Land of Israel also available. Recommended. Covenant and Conversation, by Rabbi Jonathan Sacks. Separate volumes on each book of Torah. Insightful and thought provoking commentary. Studies in Bereshit, Genesis, by Nehama Leibowitz. Also a series of five. Classic and sound commentary. Nehama Leibowitz is recognized as one of the top Torah teachers of modern Israel. The Beginnings of Desire – Reflections on Gensis, by Avivah Gottlieb Zornberg. Rich, literary and thoughtful commentary. Rashi – The Saperstein Edition A set of 5 – one volume per book of Torah. Beautifully bound, Hebrew, English and Rashi script; with Rashi’s commentary translated plus added annotations and commentary. 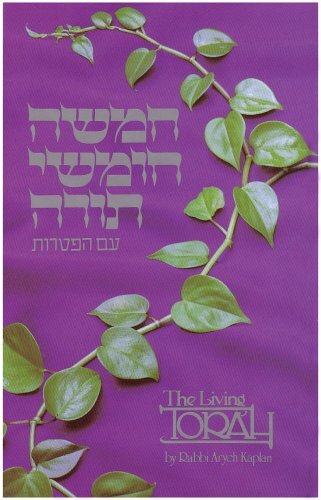 The Living Torah, Rabbi Aryeh Kaplan, Moznaim Publishers. A heavily-researched translation of the Five Books of Moses written in modern English. It includes study aids such as an introduction, notes, maps, tables, charts, bibliography and index. The Midrash Says, Rabbi Moshe Weissman. Arranged according to the weekly Torah portions. An excellent collection of Midrashim on the Chumash. 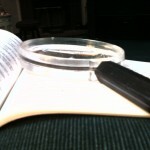 Midrashim are homiletic style sermons on Biblical subjects. They contain deeper meanings of the Torah, expansive discussions on events that the Torah only alludes to, as well as ethical teachings. The Jew and His Home, by Rabbi Eliyahu Kirov. A classic work on Jewish family life. Includes practical Halachic matters, as well as discussions on Jewish marriage, harmony in the home, modesty, raising children and more. If You Were God, Rabbi Aryeh Kaplan. Contains three works. 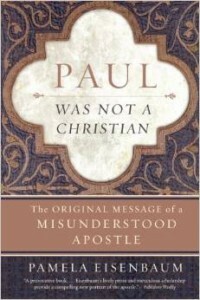 First, a novel understanding of God by putting yourself in His role. Second, a work on immortality and the soul. Third, an essay called “A World of Love” that deals with the purpose of creation. Sabbath: Day of Eternity, by Rabbi Aryeh Kaplan — A blend of the technical framework of the Sabbath with insights that develop its philosophy. Ethics from Sinai, by Rabbi Irving M. Bunim. A three volume set of commentaries on Pirkei Avot, a section of the Talmud that discusses some of the ethical teachings and wisdom of Judaism. Tefillin: G-d, Man, Tefillin, by Rabbi Aryeh Kaplan. Insights to meaning behind Tefillin and practical aspects of the mitzvah. 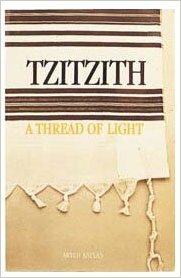 Tzizith: A Thread of Light, by Rabbi Aryeh Kaplan. The author delves deeply into the mystery of the commandment of Tzizith to reveal the link between Tzizith and the ability of man to overcome his faults and reach towards G-d. Waters of Eden, by Aryeh Kaplan. An enlightening description of all aspects of the Mikvah. 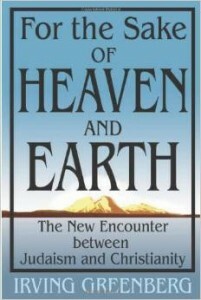 This entry was posted in Recommended Reading List by Keren Hannah. Bookmark the permalink.